Time is flying! I can’t believe some kids are back in school in just two weeks! Anyway, while it is still the summer I thought I would post a summer staple. 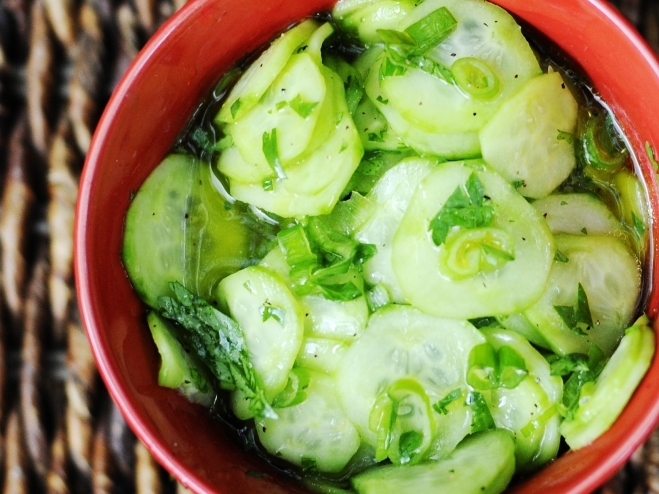 Cucumbers and vinegar are always awesome in the summer, but this new recipe really jazzed up this salad and it was a big hit in our house. My kids love those little Persian cucumbers from Trader Joe’s or Whole Foods (or even Costco). They are small, sweet and seedless and make for a great snack alone. 1. Peel all of the cucumbers. 2. 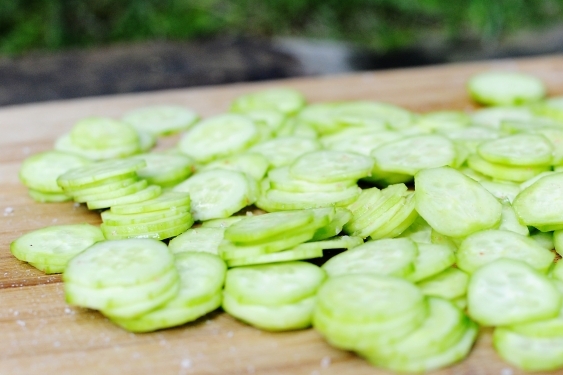 Add some salt to the cucumbers and let them sit for an hour. 3. Rinse the salt off of the cucumbers, or at least most of it off and put in a bowl. 4. Add the rest of the ingredients, allow to soak in your fridge for a few hours or over night, or eat immediately like we did. The salad is suppose to sit for at least a few hours in the fridge but we ate it immediately, and it was awesome. 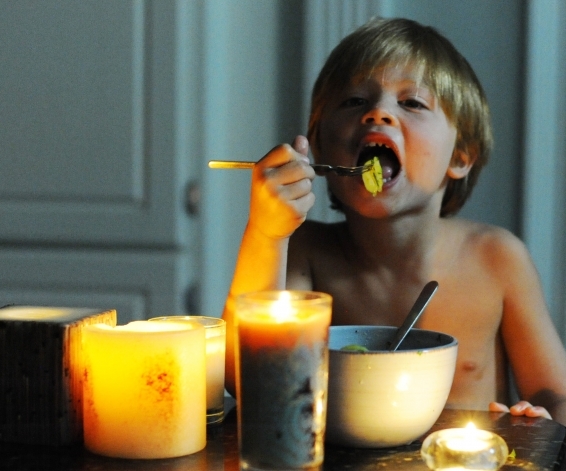 Oh, and the electricity went out (because of a summer rain shower, yet again!) so this was the only thing I could make at the time, and Alice and Tate devoured it in 5 minutes flat. This definitely would have been a good recipe to double. I’m sure the leftovers would have been even tastier.